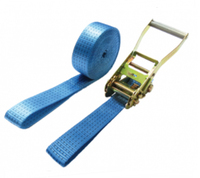 Ratchet Strap - 8m x 50mm - 5000kg break force. 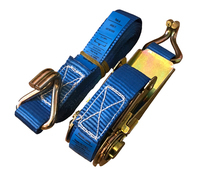 Ratchet Straps 8m x 50mm wide polyester webbing, with a Claw Hook at each end. 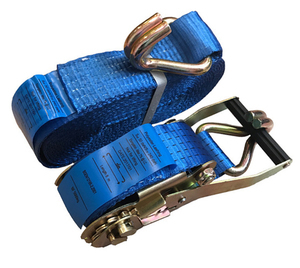 High quality cargo control using ratchet straps. Also available in the sizes shown below. Please check our other cargo straps if you need a heavier duty tie down strap.